Two major developments in Birmingham – Peddimore and Typhoo Wharf – have taken a step forward after being showcased at MIPIM. 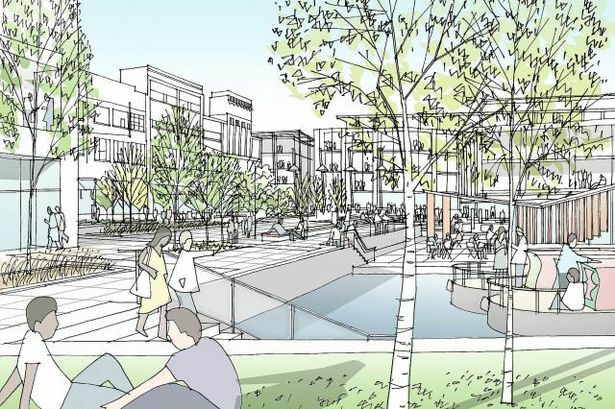 Birmingham City Council launched a Visioning Document for its Peddimore site, to create a brand new strategic employment area for the city and region. Located in the north-east of Birmingham, Peddimore is expected to make a £350 million contribution to the local economy. At 71 hectares and with the potential to accommodate around 265,000 sq m of new industrial floorspace, the site is one of the most significant industrial opportunities in the UK. Councillor John Clancy, leader of Birmingham City Council, said: “Peddimore shows our ambition to deliver an exemplary industrial scheme that will become a catalyst for major growth and investment. It was also announced that Stoford Developments has been appointed to deliver the £200 million redevelopment of a key property portfolio around Typhoo Wharf in Birmingham city centre. The Gooch Estate, owners of more than ten acres of land in Digbeth, has selected Birmingham- based Stoford as development partner. The Digbeth portfolio includes Typhoo Wharf and the former Typhoo Tea building, together with the adjoining canal basin, where tea used to arrive in Birmingham from London. Typhoo Wharf will almost immediately adjoin the new proposed HS2 Curzon Station. At least 1,000,000 sq ft of development is anticipated, which will include Grade A office space, SME business incubator space, bars and restaurants, artist studios and homes. The opportunity is expected to attract major inward investment into Digbeth and create hundreds of jobs. A planning application will be prepared in the summer and work is due to start on site in mid 2018. Waheed Nazir, strategic director, economy, at Birmingham City Council, commented: “The city council sees the Digbeth area as a major regeneration zone. "Located on the doorstep of HS2 and with a £724 million Investment Plan, Digbeth will be set for significant transformation.